«BersoАнтик» - Lady desk story or an interesting provenance! Lady desk story or an interesting provenance! Dear guests, I would like to have a piece of your advice. Tell me please do you know someone who is fond of objects with history and who in your opinion can find this offer useful? Once my friends asked me to have a look at one antique lady desk in the English Embankment house (English Quai) in Saint Petersburg. It was nice to find an old object in a rare undamaged state and moreover I was amazed with the family history taking me back to the past, to the period of the Russian Empire War against Napoleon Buonaparte. This I was told by a woman, the owner of the house and the lady desk. Perfect condition did not turn out to be a sudden set of circumstances, it was evident that her family took care of it. She came from a noble origine banker of St. Petersburg and she was the last family generation. I was honored to get this gorgeous walnut wood lady desk, with its original mirror. Apparently she sold it to me becasue I was the only one to understand her worries about the destiny of her "one and only" and so precious antique object and I also wanted to keep this living-history-lady desk alive. I shared their feelings: more than 150 years they had been surrounding this treasure with so much love. The manufacturing of the desk was entrust with the "Gambs Freres" atelier in St.Petersburg by her great grand-father as a gift to his wife. He was a veteran of the Patriotic War of 1812 and as well a prosperous banker in St. Petersburg that in the mid of XIXth century was the capital of Russian Empire. (See more in the family's photos). That happened many years later in the house in the English Quai (the first development and building - up in St. P.) The last owner had made up her mind to sell the desk, she was not sure she would keep it in order in the future. That time she had to move to another house from her family flat. (The house she lived needed capital repairs and had to be rebuilt). She was afraid that removals porters would break her desk to pieces right before her eyes when they would carry it away. (Partition walls were built in the Sovietic times but the furniture had been brought there before. The doorways were too narrow for the the furniture to be taken out). In our case it was somehow brought out disassembled and this lady desk was there all alone in its place and the owner forbade to move it or even to touch it. She took this desk's problem too close to heart and was searching for a special person that is why she put away the selling until the last moment. I keep in mind our half - of - the day talking before I became a new owner of the lady desk.The next day she was amazingly surprised to watch the restorer's and me for three hours carefully packing the Gambs' masterpiece. She shook my hand once again and said that at that moment she could move with a light heart: she was sure that finally she had found a trustworthy person (of course having got a certain sum of money). And then her enormous flat seemed absolutly empty and it was the last piece of art that she had been taking care of that did not let it be moved. The parquet' varnish had been renovated for several times but due to the table stayed untouched there were legs imprints on the floor. In the small oval hollows there was seen the wooden surface of a hundreed years without varnish' layers just wax. I am telling you this just because to show the future proprietor how many efforts and circumstances gave this desk a hand to stay "alive" nowadays and moreover to maintain its original state. I will give this lady desk (sell I mean) only to those ones who would take care of it like the banker's family and their descendants did. I have been guarding this desk for seven years already and I do hope it will live much longer than several centuries and its history will live across the generations too, especially in children. We can explain the children by the example of the antiques that our life is not just a length of time that One above let us live. The life was before us and it will be after..And how it is important to understand it much earlier..I guess it is consciousness that makes one educated and civilized. And this kind of consciousness made the grandmother cover the mirror with blankets under the constant bombardment in the period of Siege of Leningrad (Blockade of Leningrad) from 1941 up to 1944. I found out then that no one could persuade her to run with the others to the bomb-proof shelter till she carefully wrapped the mirror with numberless blankets to avoid its splitting under the bombardment. When the air-raid alarm was over the granmother came back and unwrapped her favourite lady desk and sat at it combing her hair. And the house was lucky one too because no bomb could reach it during 4 years of surviving. Well the blankets can also be magic ones..And here is the true story in brief. But there is one more curious fact in this story..
Now I would like to make clear the secret of the unique safety of this piece of furniture and here is a bit information about the technology. The fact is the desk is till keeping its original lacquered finishing that had been discovered in the Gambs atelier for about 150 years ago. Sometimes they used to renovate the finishing to make it glowing when some guests were about to come to visit the family house. Moreover it was useful because the finished surface suffered from the spilt water or wine or tea. We can say that if we leave a cup of hot tea on the desk top there will remain a round imprint: the lacquer will fall off the wood. This kind of finishing contains multilayered lacquer (20 and more tints) nand-made. The naturalness is that the artists dissolved in the alcohol the insects hindwings, the soft ones, matching them by the color and gave to the finish the necessary tint. There exist some variants of the restoraton of this lacquered surface but it is usually necessary to clean the previous layer to the depth that let take away all the great deal of little cracks, splits and other damages that inevitably appear the result of the "habitation traces". Only after this the master lays new lacquer layers polishing every layer by hand. The main goal of the multilayered surface gives a nice pleasant effect because the light can refract and shift in the laquer layers and wooden surface of the furniture sparkles and reflect more light that gets in there. As older this surface is as more proof and tight it is to the environmental actions. The fact that our table was taken care it did not need to be covered with multilayered finish. It is probably that the owners knew that the first original multilayered covering was of the top quality. Also they were economical family and did not intend to spoil the things to mend them after because they came from a German banker family. And antique furniture that glistened like a new one was considered a "mauvais tone" in well-bred families. I think they appreciated for sure the natural manners and did not give some special gloss to the guest entertaining. Now I tell you one German nuance about the banker. He has known the banking business before he came to the war of 1812. Before he had worked in Germany bank and then turned out to be in the army of Napoleon and before he had been at war in the French army in Russia. When our troops destroyed the army of Buonapart some of the former soldiers stayed in Russia. Our banker is a good sample. 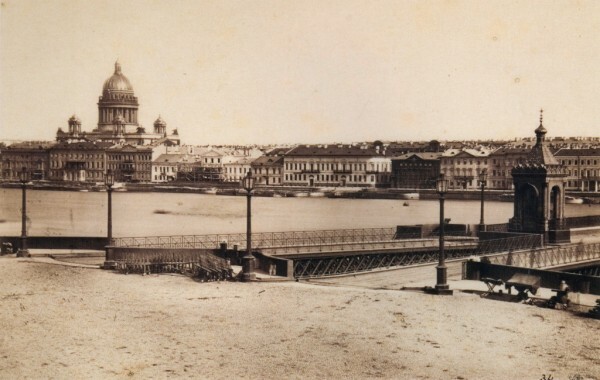 He stayed in St.Petersburg and with a time he became a succesful and prosperous person. So our lady desk came through it all and the German roots of the future generations came into play and save the table from the renovation by ubiqiotous red lacquer. So much furniture of that kind I have seen in my life. Gilded mirror was painted because of the fear that the neighbours would denunciate. And a big carved buffet made of stained oak created in the workshop of Abramtsevo by the sketches of E. Polyonova. Why did they paint it with this hedious red-brown mixture with peices of undissolved wax, dust and wood shredding! Yes, truly we had this kind of experience. The restorator cleared out triangular carving with wooden toohpicks. And now it is a real beauty. All antique pieces of furniture that survived during the leningrad Siege till nowadays are in dire state especially since 1970s till today. Because those ones who took care of them died and the new geneeration did not try to understand. There blew the aind of thaw and new Western tendencies caought the youth attention. 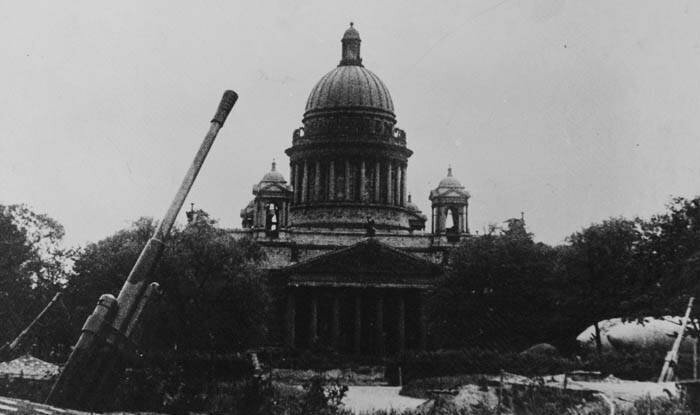 After perestroika (reconstruction). It is nice that it was not thrown into the scrapyard like old rags just because they needed to put IKEA furniture there. I will not conceal it once I was passing by the scrapyard and noticed that there was a samovar there, an old one, with a hole on one side but the shape is beautiful. I picked it up and then restored. Coming back to our hero this wonderful lady desk with a mirror psyche, let us sum up. There is kept a multilayered authentic surface that kept for us absolutely all the little splits and chipped spots (I did not assigned none of them! ), that is to say all the habitation traces of the German banker family from St. Petersburg during 150 years. This all you perfectly feel when you sit at this table and touch its surface and drawers and little doors handles. You look in this mirror that has a nice deep light and shows more than 10 reflects of the candle shade (that is another lecture). The mirror has kept its original silvered amalgam. And as well it has excellent bevel of hand finish at the whole compound round perimeter. NB: nowadays no factory will take this order. Only rectangullar shape where it is possible to make machine bevel. It is a pity but the keys were lost. I consulted a famous in St. Petersburg specialist in old locks and he made a set of keys and cleared out and lubricate all the old locks in this object. As well as to strengthen its legs. I did not make another kind of repairs excluding cleaning of the table top with a special English composition basing on the natural oils that does not contain solvents and chemicals able to change the authentic original finish. It is probably a too long story about thei antique obejct but it is worth telling. These times this lady desk was in our gallery in St. Petersburg on the Stremiannaya street. And after it was closed this desk is in the gallery of my dear friend Daniel Sklauni in Moscow. Now it is turn to find a new future owner for this table, a real beauty and history worshipper and who can feel this desk and keep its history. Only to such a person I am ready to sell this nice antique object for 325 000 roubles. The bargaining here is unappropriate. Drop me a line please if you know someone who appreciate lady desks and who are able to read this aticle till the end and more to understand the uniqueness of this offer and become a new owner. Copying infomation referring to the website BersoAntik is obliged.